These beautifully cast bronze vases, from the late 19th Century in Japan, feature wonderfully-rendered relief decorations as well as subtle gilt highlights. 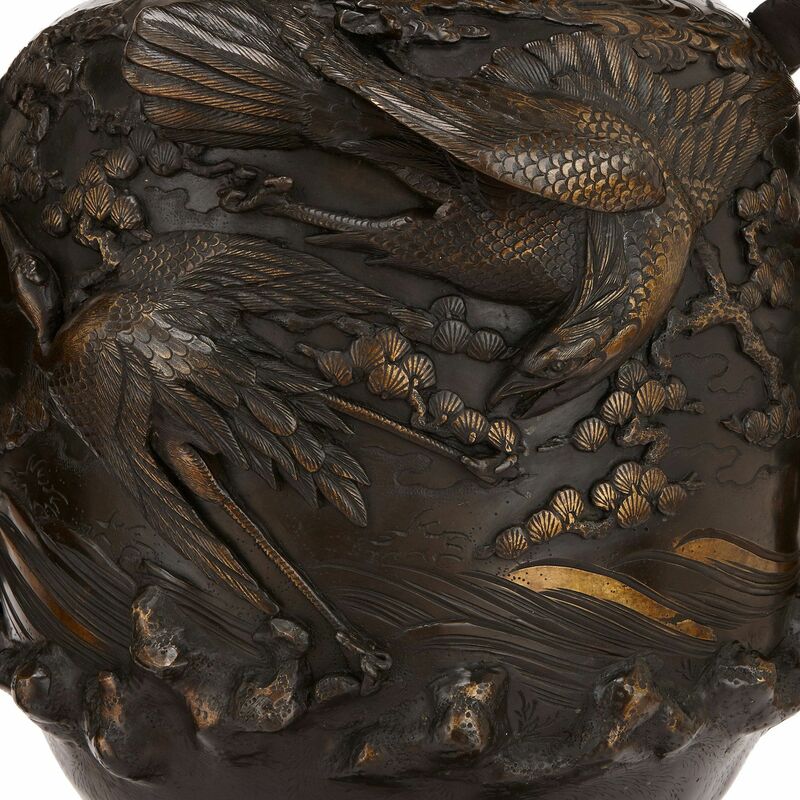 The Meiji period in the late 19th Century in Japan is often regarded as a golden age of craftsmanship, with excellent pieces such as these employing intricate, difficult decorative techniques. 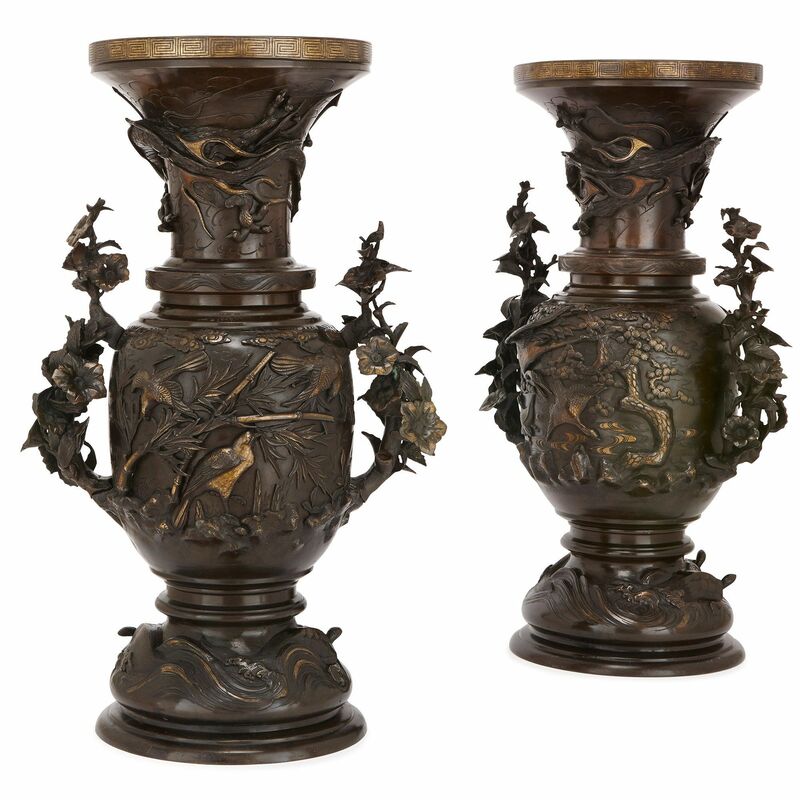 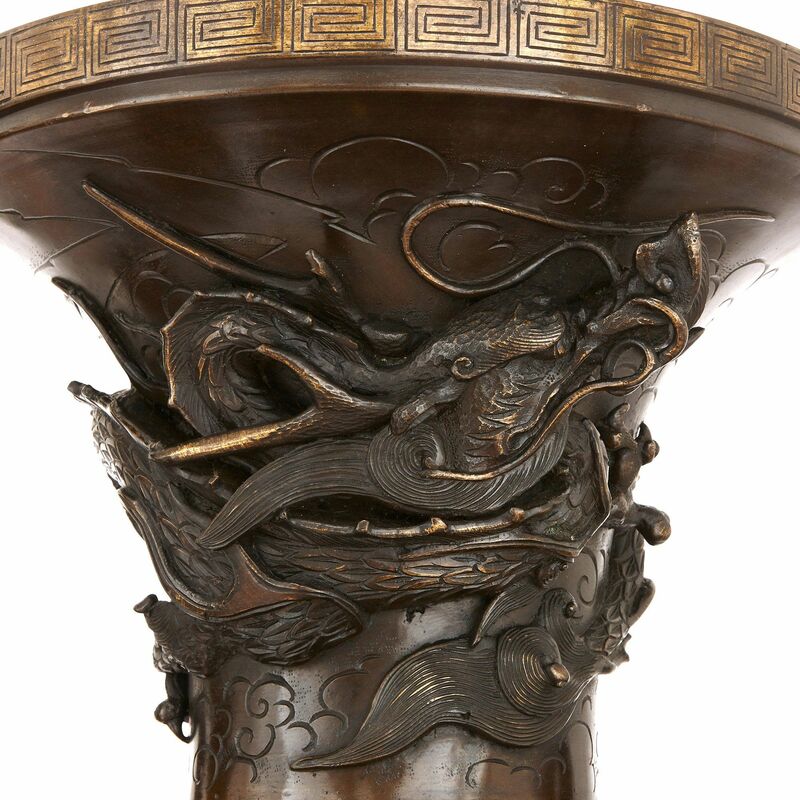 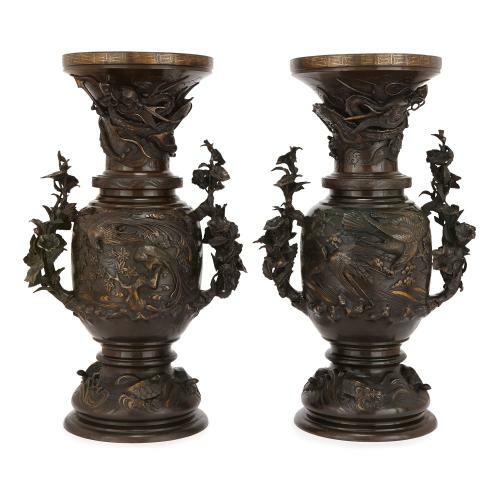 Measuring nearly 80cm in height, these large vases are cast in bronze, with relief decorations all over their bulbous bodies and flaring necks showing finely-detailed mythical creatures, dragons and birds, in landscapes of trees and branches. 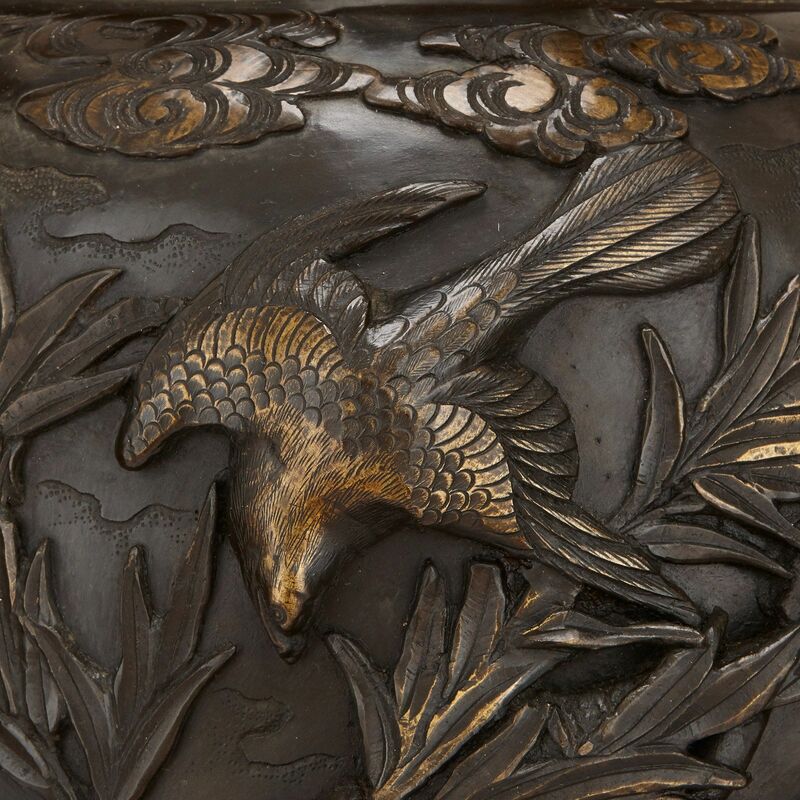 These relief decorations are also highlighted with small areas of gilding, giving them a wonderful sense of tone, texture and naturalism. 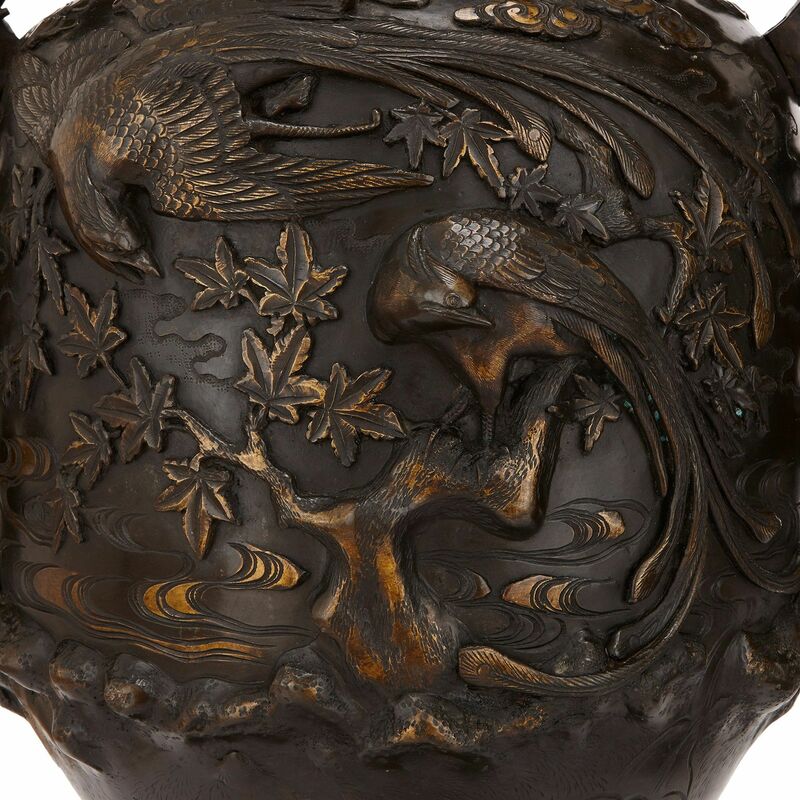 This parcel-gilding is used to highlight individual birds' feathers and tree trunks in a stunning degree of detail. 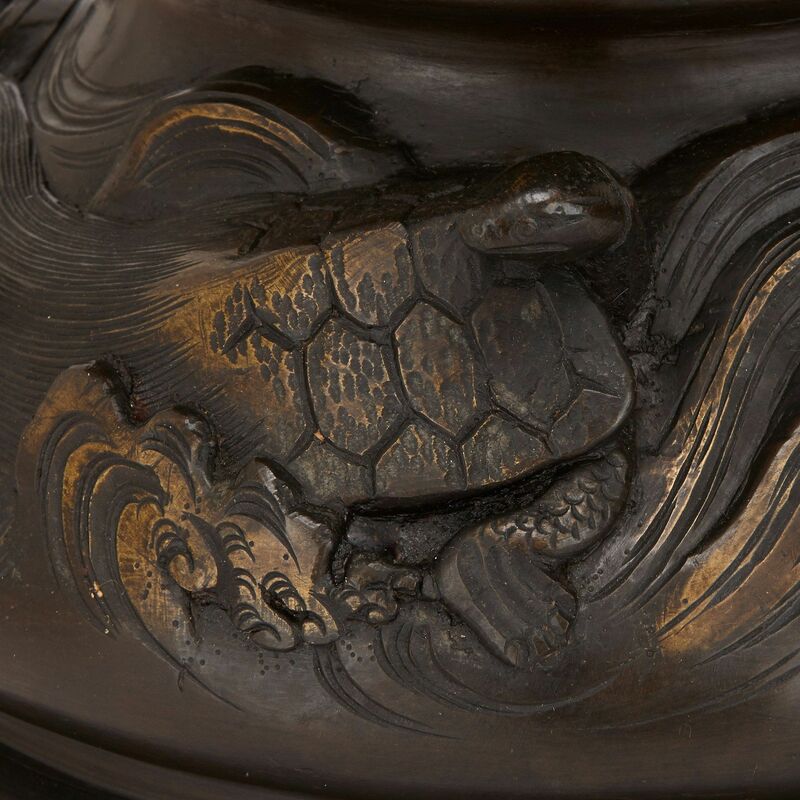 Around the circular bases there are wave-like motifs in relief, and sea creatures are depicted around the necks. 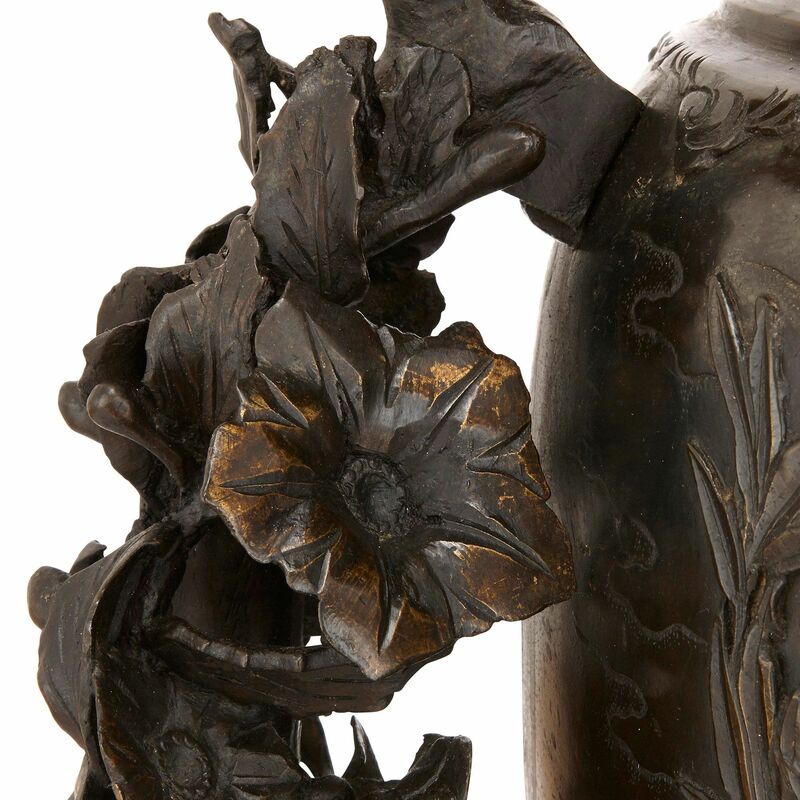 Each vase also features twin handles in the form of tree branches, complete with entwined flowers and foliage.